【JWF News Vol. 155】　5th Kyoto World Water Grand Prize is now open for applications! - 5th Kyoto World Water Grand Prize is now open for applications! On August 3, the 68th meeting of the Tone River Flood Control Alliance was held in the City of Sano, Tochigi Prefecture. It was a great success with the attendance of approximately 1000 participants, including Mr. Yoichi Nomoto, vice-president of the Tone River Flood Control Alliance; Mr. Tomikazu Fukuda, governor of Tochigi Prefecture; Mr. Masahide Okabe, mayor of the City of Sano; Mr. Shinichi Ishizaka, mayor of the City of Maoka; executives from MLIT (Ministry of Land, Infrastructure, Transport and Tourism); local government officials; and members of local flood prevention teams. This was a meeting of an alliance for promoting flood control and water utilization on the Tone River, which runs through Tokyo and five prefectures in the metropolitan area and is the largest river in Japan. The alliance was launched four years after the end of World War II. I was invited to speak at the meeting. The Tone River is an important river for supplying water resources to the Tokyo Metropolitan area, but it also threatens the area with flooding. However, flood control projects cannot be completed in a day. Such projects must be promoted step by step over a period of years. In 1590, Ieyasu Tokugawa entered Edo by order of Hideyoshi Toyotomi. The Kanto Plain as seen from Edo Castle, which was located at the eastern edge of the Musashino Plateau, was a barren wetland as far as the eye could see. In the early Jomon Period, about 6,000 years ago, the sea level was 5 meters higher than it is today, due to global warming. Therefore, sea water extended far into the Kanto Plain. This means that the Kanto Plain was below sea level. Since then, the sea level has lowered and the coastline has expanded due to global cooling. 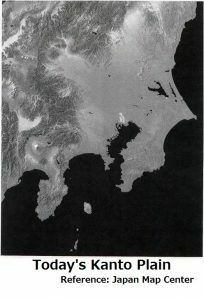 Figure-1 is a shaded topographic map of the Kanto Plain today. 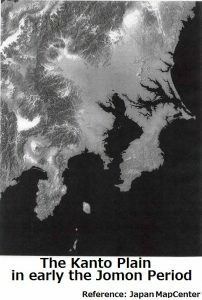 Figure-2 shows the topography of the Kanto Plain in the early Jomon Period, when the sea level was 5 meters higher than now. It shows that the sea extended far into the area. 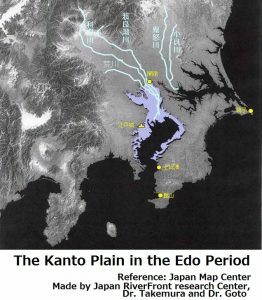 Figure-3 shows the topography of the Kanto Plain 400 hundred years ago, when Ieyasu Tokugawa entered Edo. There were sediments piled up in areas once covered by the sea. This area was a tideland, where the sea water flowed upstream during high tide, and muddy streams flowed down from upstream when it rained. Ieyasu became the ruler of Japan after winning the Battle of Sekigahara in 1600. Surprisingly, he moved through Hakone and returned to the wetlands on the Kanto Plain, turning his back on Kyoto and the Kinki region. He had a job to do on the Kanto Plain. Ieyasu’s plan was to turn the vast barren tideland into rice fields. He ordered Ina Tadatsugu to carry out the project. Tadatsugu excavated the hill located between Sekiyado and the Kinu River (Figure 3), and diverted the Tone River’s channel towards Choshi. This was known as improvement works on the Tone River. The work was eventually taken over by his son, Ina Tadaharu. Even after the Tone River began to flow towards Choshi, the improvement work continued throughout the Edo Period. The river channel was widened and floodwaters were made to flow towards Choshi. The vast wetland freed from the muddy stream of the Tone and Watarase rivers gradually became rice fields, making the Kanto Plain one of the biggest rice bowls for Japan. 250 years later, the modernization of the Meiji Period began. Edo changed its name to Tokyo and many railways were laid from every region of the country to the city. Tokyo’s population suddenly began to swell. The Kanto Plain was large enough to construct one mega city in the metropolitan area. It had become even more important to improve the Tone River. This improvement work has continued through the Meiji, Taisho, and Showa periods until today. This is the history of the Tone River flood control project. The original focus of the 400-year history of flood control on the Tone River was the vast wetland Ieyasu Tokugawa saw when he entered Edo. He realized the value of the wetland. The area was covered with fertilizer carried down from the surrounding mountains and he believed that drying the wetland would create fertile farmland. My first posting as an official involved in river administration was the Kinugawa Dam on the Tone River system. I had heard about the improvement of the Tone River from my seniors and had repeatedly imagined the changes on the Kanto Plain. But the image in my mind was never clear. I thought I would no longer be able to see the vast wetland Ieyasu himself saw. I wanted to see the same view as Iyeyasu. I thought, “If I see the wetland with my own eyes, I will be able to feel the obsession of Ieyasu and the Tokugawa Shogunate with improving the Tone River.” However, this was no longer possible. The story of the improvement of the Tone River felt like nothing more than a mere tale. It was like a fog was enveloping me. But the fog lifted. In early July, I was preparing a speech for the 68th meeting of the Tone River Flood Control Alliance. After working late into the night, I was about to shut down my computer to go to bed, when suddenly there appeared on the screen the wetland as seen from Edo Castle. As you can see in picture 1, it is not actually Edo Castle but Mont-Saint-Michel, located in the tideland of the Gulf of Saint- Malo, which faces the English Channel. It must have been one of the pictures I had looked at while searching for tidelands on the Internet. I became aware of the picture only now as I was shutting down my computer. The Gulf of Saint-Malo is located at the mouth of the River Rance. 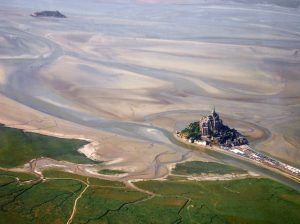 Mont-Saint-Michel is a monastery built on a small island in the bay. The picture resembles that of an inter-tidal wetland. In particular, the small island monastery looks just like Edo Castle standing at the edge of the Musashino Plateau. This is the landscape Ieyasu Tokugawa saw from Edo Castle. He thought, “If the muddy stream flows towards Choshi, it would be easy to reclaim the vast wetland, and I can acquire vast fertile farmlands”. This was the Ieyasu Tokugawa’s idea. Four hundred years later in the 21st century, the Kanto region has expanded more rapidly than Ieyasu could have imagined, and has become the largest metropolitan area in Japan. 5th Kyoto World Water Grand Prize is now open for applications! We are pleased to announce that the fifth Kyoto World Water Grand Prize will be held in March 2018, Brazil, which is co-organized by the World Water Council and the Japan Water Forum. The Kyoto World Water Grand Prize aims to find and develop outstanding grass-roots activities related to water issues around the world. To apply for the prize, please read through the guidelines beforehand and use the prescribed application form. We look forward to your application for the Prize! The Third UN Special Thematic Session on Water and Disasters was held on July 20, 2017 at the United Nations Headquarters in New York. The meeting was organized by Dr. Han Seung-soo, the Special Envoy of the Secretary-General for Disaster Risk Reduction and Water, and the High-level Experts and Leaders Panel on Water and Disasters (HELP). During the two-month application period, the JWF received 211 applications from 31 countries, submitted by those involved in activities aiming at solving problems of water, sanitation, and water-related disasters.